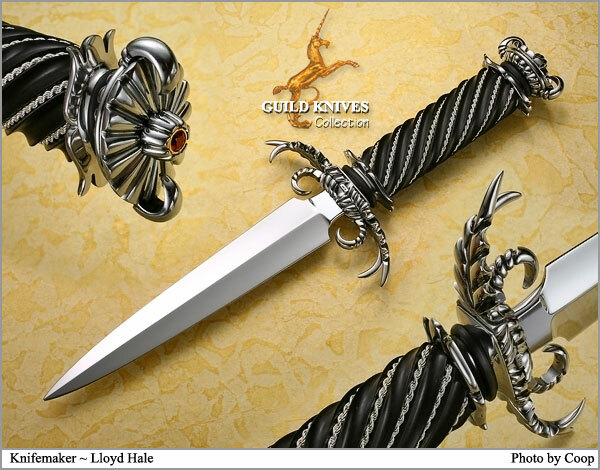 True mastery in an Art Dagger. Lloyd constantly amazes me with his NEVER-TWO-ALIKE creations. Look at the intricacy. Fabulous double grind dagger blade. The complex metal-worked guard and pommel must be studied to take it all in. Black ebony handle twist-fluted and inset with woven silver braid. Good God, but it is unique!